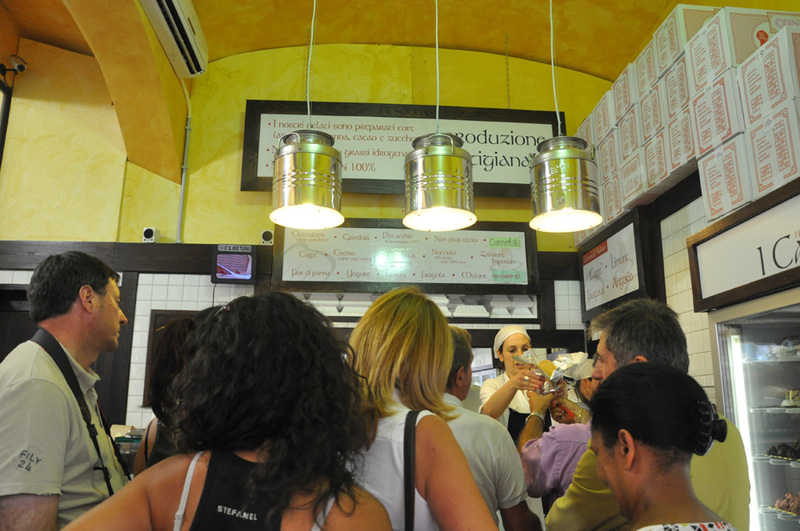 A confession: I sort of feel the same way about San Crispino, one of Rome's most famous gelaterias, as I do about the book Eat, Pray, Love. Similarly: Il Gelato di San Crispino takes the concept of using fresh, organic ingredients (not exactly a new culinary idea, at least here in Italy) that's still seen as a bit rare (given the number of gelaterias that don't do this) in an appealing package (I mean, it's gelato, and it's near two of Rome's biggest tourist sites). 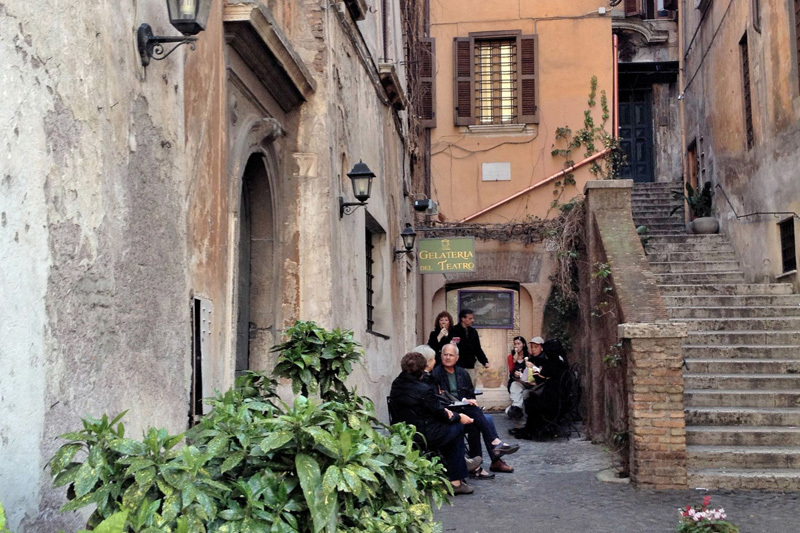 And just as Eat, Pray, Love found wild success, so — it seems — has San Crispino. As well as franchising (there are now two of the stores), San Crispino's even gotten a movie cameo. 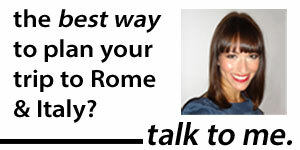 In a movie about a woman traveling to Rome to find herself. What was the name of it? Oh, yeah. Eat, Pray, Love. Go figure. Now, I like San Crispino. Maybe even more than I like Eat, Pray, Love. 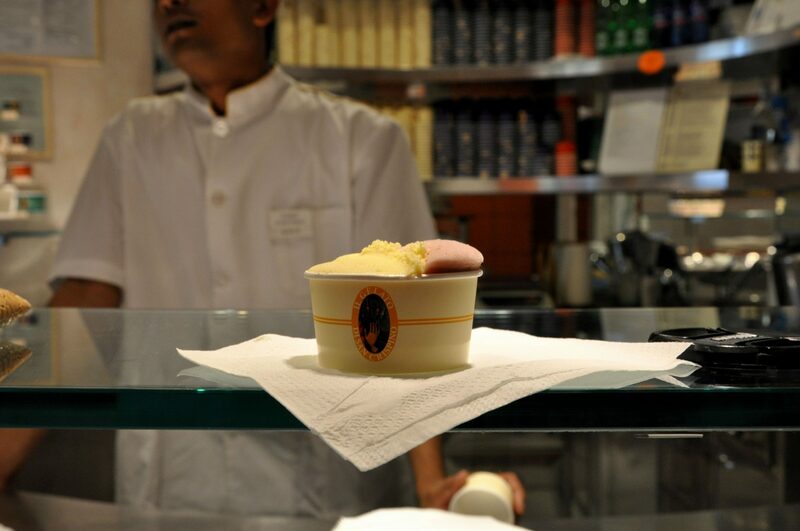 But I wouldn't call San Crispino the best gelateria in Rome. Its flavors, like the chapters of the book, can be a little uneven in their poignancy and effectiveness. (Okay, I'll stop now). 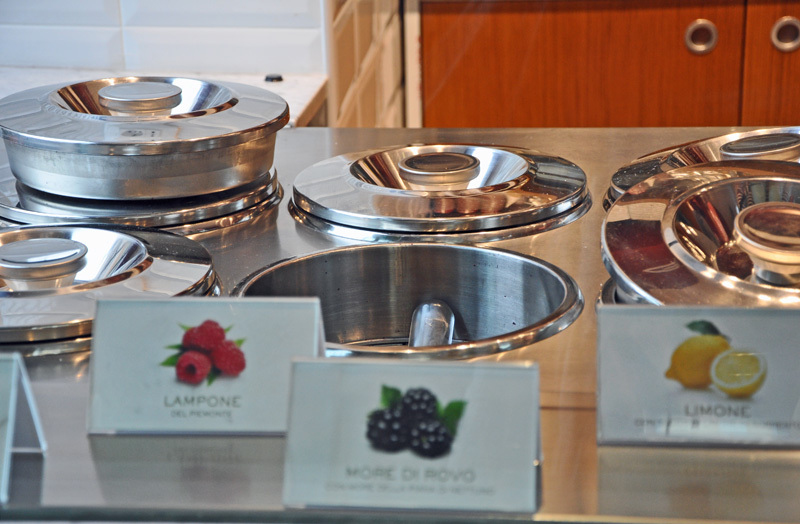 I prefer the creamy texture of the gelato at Ciampini, just up the road. 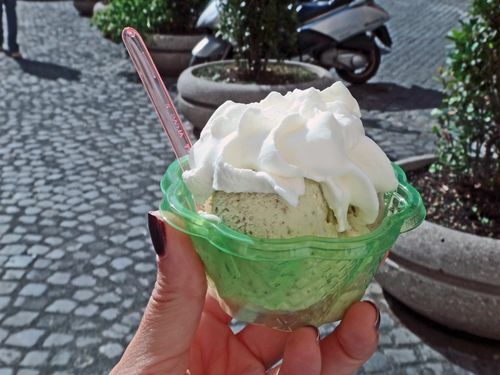 And San Crispino is a little pricier than other gelaterias, with the cheapest cup, for just one taste of one kind of gelato, coming in at €2.50. That said: I still sometimes recommend the place. Why? 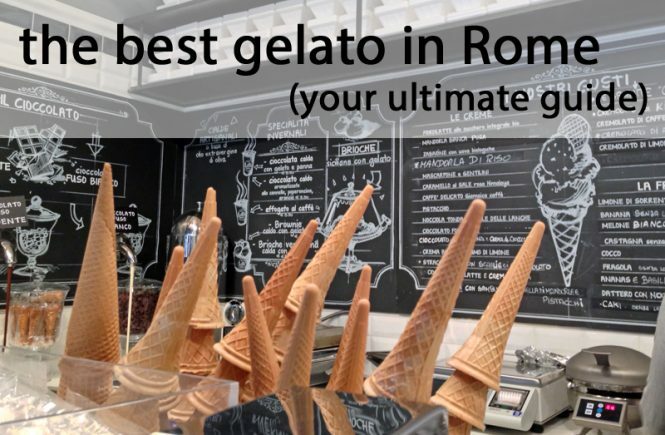 First of all, when other gelaterias that "foodies" tend to tout are on Rome's outskirts (like Il Gelato di Claudio Torcè, out in E.U.R. ), San Crispino is right in the center. It's convenient. And as corny as it is, you can't underestimate how watching the sunset light up the dome of the Pantheon while noshing seems to make your gelato taste that much better. (The only way, I'm guessing, that all of the restaurants on that piazza manage to stay in business). 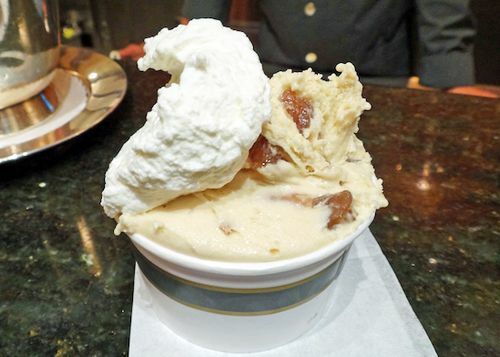 Secondly, lots of other people, from La Pergola's Heinz Beck to Elizabeth Gilbert herself, are obsessed with San Crispino gelato. It's obviously a crowd-pleaser. And third, the fruit flavors do taste pretty darn fresh. I especially like their black fig, blackberry, and plum. The ginger-and-cinnamon is a favorite, too. So: Go. 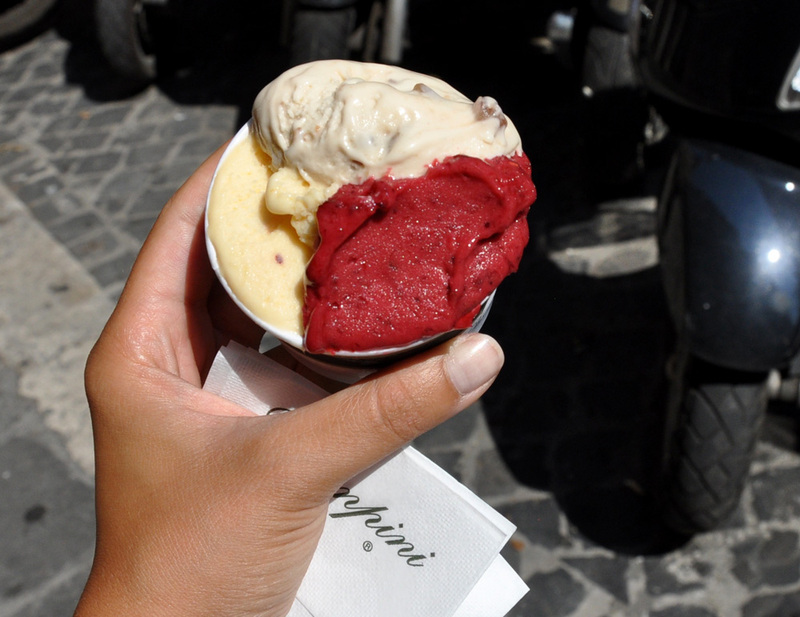 Just please, leave the copy of Eat, Pray, Love in your hotel room to keep the gelateria from imploding by sweet-stuff overload. 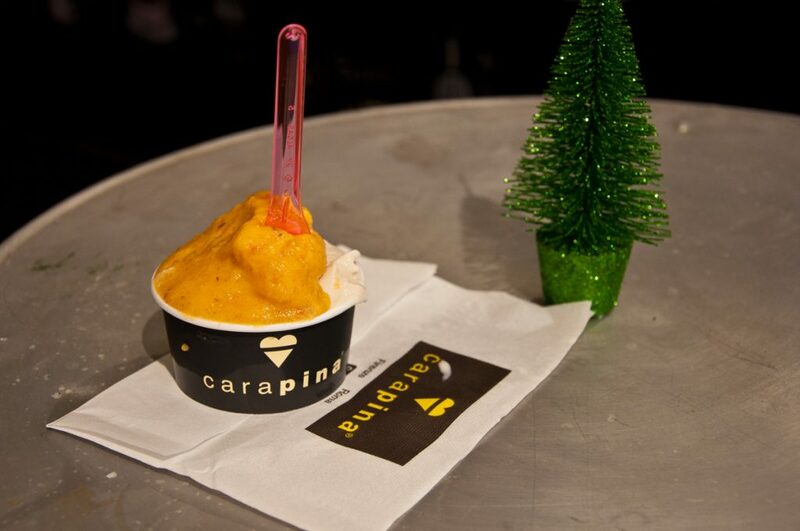 Il Gelato di San Crispino. 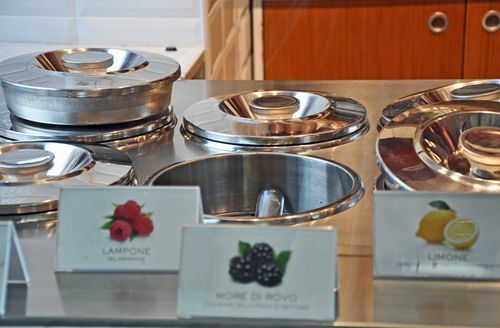 Via della Panetteria 42 (Trevi location) or Piazza della Maddalena (franchise at the Pantheon. For a map, click here.